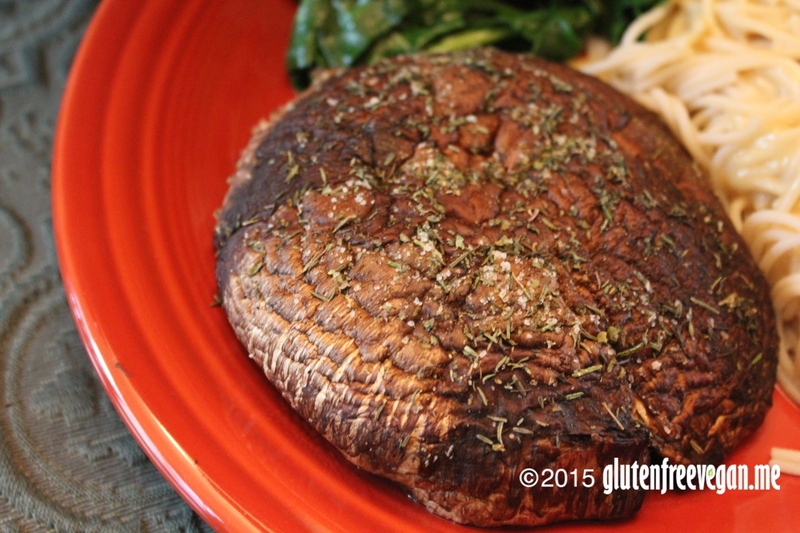 Portobello Mushrooms are packed with nutrients and very low in calories. They are a good source of protein, thiamin, vitamin B6, folate, magnesium, zinc and manganese, and a very good source of dietary fiber, riboflavin, niacin, pantothenic acid, phosphorus, potassium, copper and selenium. I love to add them as the “meat” portion on my plate. This version is so easy to prepare and the juice can be spooned on the top or saved for later to use in soups or on potatoes or rice. Wash mushrooms, remove stems and shake out most of the water. Place on glass baking dish with top side up and stem side down.Make sure there is a bit of water on the bottom; if not add a few tablespoons to prevent burning. Rub sesame oil gently on the tops of each mushroom, covering the entire top. Sprinkle a pinch of each seasoning on top of each mushroom. Bake in middle rack at 375 F for 15 minutes. Serve warm with side dishes and provide steak knives to cut. 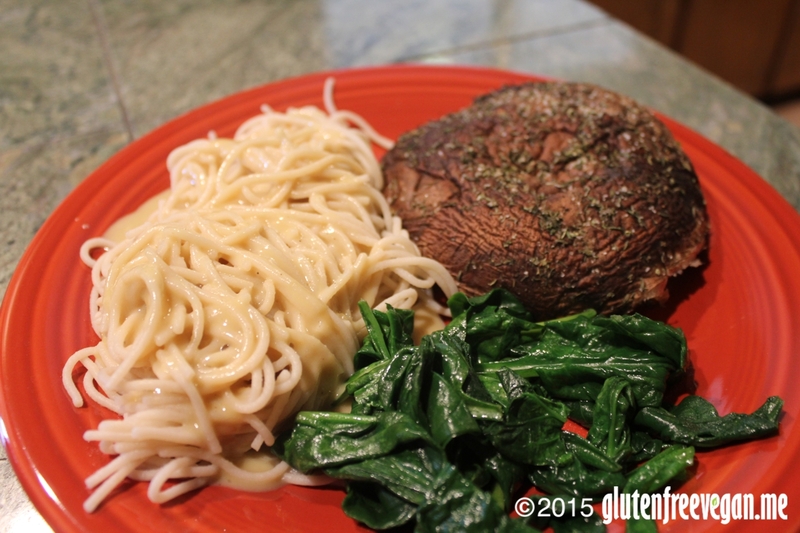 This entry was posted in main dishes, Meals in Minutes, Recipes and tagged gluten-free, glutenfreevegan.me, glutenfreeveganme.com, healthy, mushroom, portobello, recipe, vegan cooking, vegan main dish, vegan recipes, vegan steak, veggies. Bookmark the permalink.